words “Go Beyond,” tagging Vivo Philippines&#39; account. 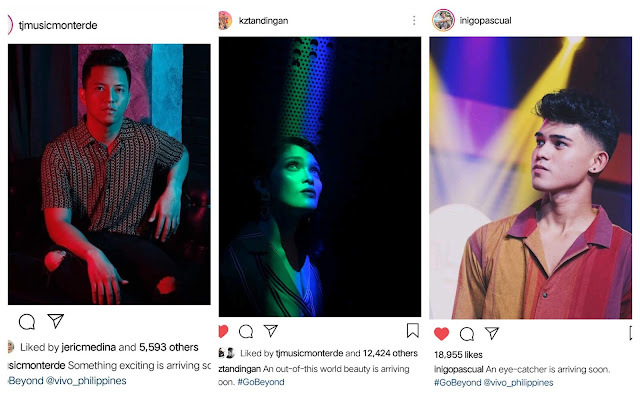 TJ Monterde, KZ Tandingan, and Iñigo Pascual also posted photos tagging Vivo Philippines on IG. This time, their photos showed colorful backgrounds or lighting. As an Official Sponsor of the FIFA World Cup™, Vivo believes in the importance of encouraging young people to embrace self-expression and an energetic lifestyle. In the Philippines, Vivo is the top 3 smartphone brand in terms of market share with 1.5 million users nationwide.